The One That Got Away - mounted by Nigel Hemming // £177.00. 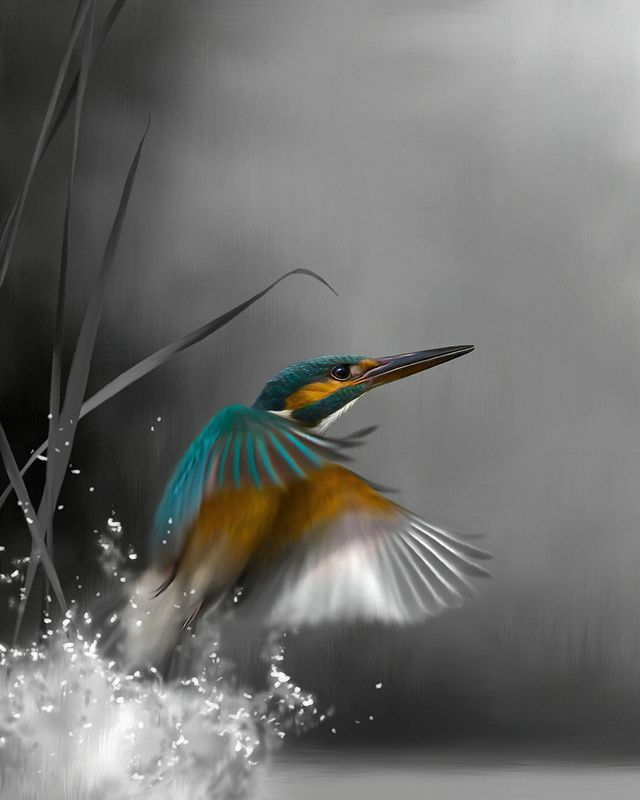 This beautiful kingfisher is from a series of two prints, the other being the barn owl piece: 'Twilight Flight,' which has very aptly dubbed the 'Natural Wonder' series and so far entails just these two stunning images. Nigel has a special talent for painting wildlife but some may say it shines even brighter, as he paints and captures birds in their natural environments.